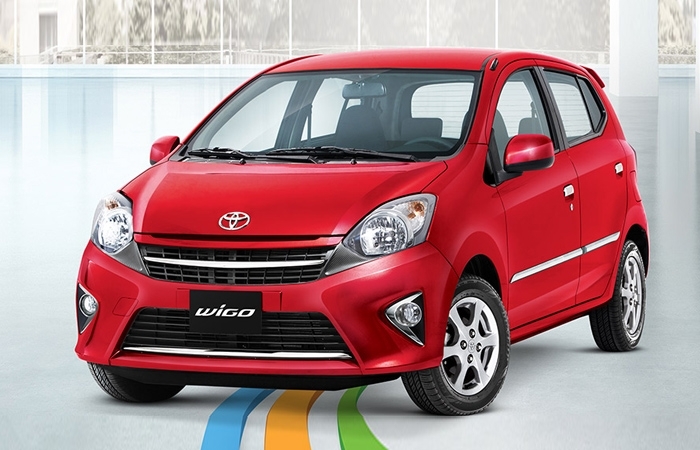 Car Comparo: Which should you buy, Toyota Wigo or Mitsubishi Mirage? You are here: Home Latest Stories Feature Car Comparo: Which should you buy, Toyota Wigo or Mitsubishi Mirage? 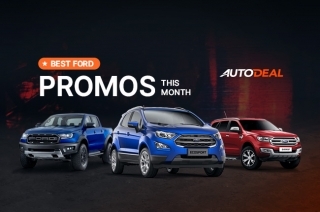 Here in AutoDeal.com.ph, we love to check our data to see the latest market trend. With this, we looked at the figures from 2016. Interestingly, it showed that the Toyota Wigo and the updated Mitsubishi Mirage were one of the most popular choices for the Car Comparo. This got us asking, what makes these 2 subcompact hatchbacks remain as the top picks? Is it their practicality, features, or price? Thankfully, we’re here to help you make the right choice. 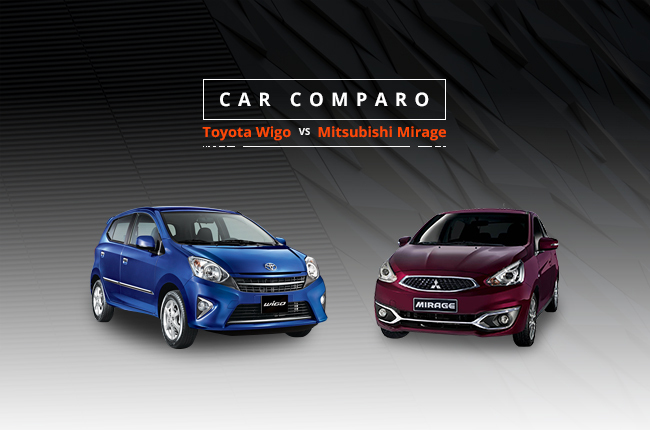 In this edition of the Car Comparo, we put the Toyota Wigo G AT on the ring up against the Mitsubishi Mirage GLX CVT. Let’s see which wins over the other based on the spec sheet. The updated Mirage GLX CVT is listed at P583,000 while the Wigo G AT can be had at P561,000. The P22,000 difference may be a bit too small to consider, especially when acquired through a multi-year financing deal. 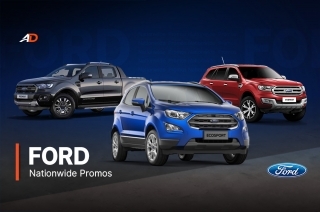 However, that’s still P22,000 you can spend on accessories, fuel, insurance, or a few out of town road trips. Obviously, this round goes to the Toyota Wigo. Can the Mirage catch up? Luckily, there are more things to consider when buying a car aside from its price. Then there’s the engine. The new Mirage still has its 76 hp 1.2L 3-cylinder engine versus the Wigo’s 65 hp 1.0 L 3-cylinder. Like its price, the 11 hp gap may not sound like a lot, but it could come handy when carrying a full load. Moreover, the Mirage also has a Continuous Variable Transmission (CVT) that’s known to give good fuel mileage, while the Wigo comes with a 4-speed automatic. Having the more powerful and economic engine, the Mitsubishi ties it up with 1 point each. With regards to dimensions, the Mirage measures at 3,710 mm in length and 1,665mm in width. In contrast, the Wigo is shorter by 110 mm and narrower by 45 mm, but is slightly taller by 20 mm. Although both can seat 5 people, with identical 2,450 mm wheelbases, passengers might appreciate the Mirage’s extra wiggle room. Tight garages or parking spaces might be in favor of the Wigo, but it’s not enough to merit as a selling point giving this round to the Mirage. Both do well in the safety and security department. 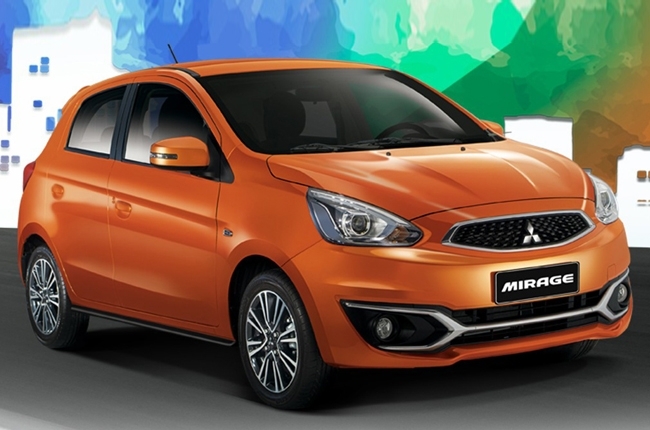 Driver and front passenger airbags, as well as engine immobilizer and ABS are standard, but only the Mirage gets Electronic Brake-force Distribution (EBD). We don’t know about you, but for rainy days, slippery roads, or emergency situations, we need all the help we can get. In this case, the EBD could prevent you from getting into an accident. This extends the lead of the Mirage to 3 against the Wigo’s 1. We believe that interior features, passenger comfort, and amenities matter the most in a car simply because this is where you’ll spend all your time. As for the pair, both have fabric seats, power windows, and electronic door locks. What’s surprising, though, is that for their price point, Mitsubishi and Toyota were both able to fit in 2-DIN touch screen infotainment systems with NAVI, USB ports, Aux-in jack, and iPod connectivity, with the difference in these head units is that the Mirage has Bluetooth connectivity. In addition, the Mirage boasts that it has automatic air conditioning, keyless operation system, and a push start button. In our books, the more interior features the car has, the better. With this, the Mirage takes a commanding 4 – 1 lead over the Wigo. With these points of comparison, the Mirage GLS CVT wins over the Wigo G AT. The P22,000 price advantage the Wigo has could be neutralized by those who are willing to spend a little extra for the additional performance, entertainment, and safety features in the updated Mirage. 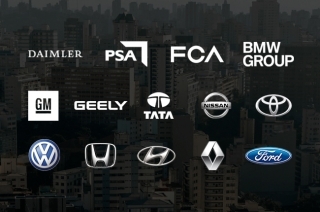 As far as durability and build quality are concerned, the 2 are built by respectable and renowned Japanese automakers, so you can’t go wrong with either choice. In the end, it’s really down to preference, because both brands offer a great package for a price that won’t break the bank. We suggest go take the Wigo and Mirage out on a test drive and see which one you really like.